About HP LaserJet printer Pro M201DW single professional, very suitable for use in the corporate office. Professional printing and laser printer HP M201DW speed up to 25 / min, and in sharp dpi resolution 1200 x 1200. 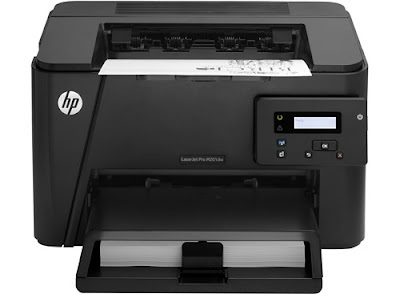 Pro M201DW HP laser printers are also equipped with a wealth of connections USB 2.0, Ethernet and Wi-Fi wireless network. Update Drivers Automatic HP LaserJet Pro M201dw, M201n, M202dw, and M202n Printer Full Software and Drivers Type : Driver-Product Installation Software Version: 15.0.16064.399 Operating Systems : Windows 7, 8, 10, Server (32 and 64bit)Release date:Oct 15, 2015 . File name: LJ_Pro_M201-M202_Full_Solution_16064.exe (100 MB).